The Hills bring alive, the scams of bigots. The rich are discriminated against too. 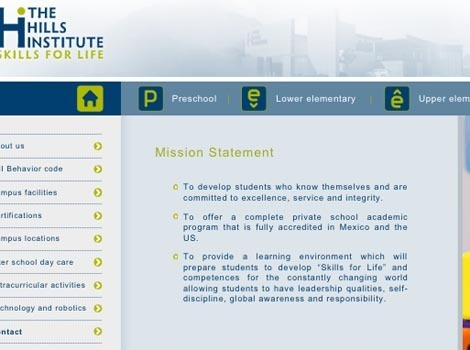 The Hills Institute, a high priced private school in Monterrey (which, incidentally, requires that a student “Speaks English on campus at all times”) used to talk about promoting “diversity” on its mission statement, which — unfortunately for all concerned — Alex and Pepe took seriously, when they enrolled their daughter Alexandra, and paid the pre-school tuition up front. You see… while I very much doubt anyone really expects a high-priced private school to have much of “diversity” among their student body (it means, they cater to gringos) it apparently did not mean parents who do not fit the upper-class norms of Monterrey. 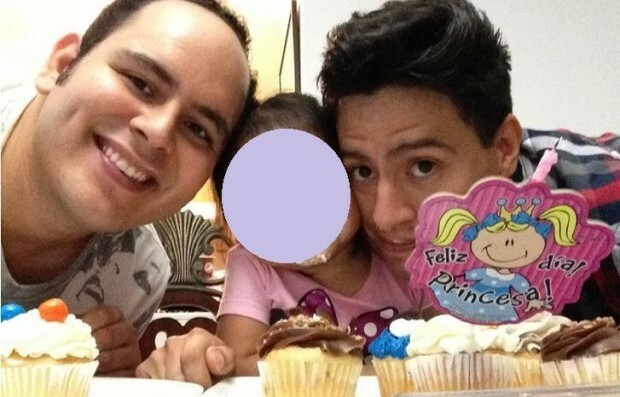 Three days after starting school, although both Alexandra’s fathers (who are legally married) had met with the administrators, school director Patricia Durán decided THAT kind of diversity is not exactly what the school meant. Calling in Alex for an interview, Durán claimed the owners of the school had a problem with their student’s family situation, but would allow Alexandra to remain in the school. IF… Alex presented himself as a “single parent”, and Pepe never appeared at any parents’ activities, nor was ever seen in his daughter’s and spouse’s company at any place where other Hills Institute parents might be. As a minor (and presumed crime victim… human rights violations being criminal actions in Mexico) Alexandra’s photo can’t appear in the media. Her, and her fathers’ surnames are not reported for the same reason. That’s an unenforceable contract, to be sure… and also an impossibility, so the couple of course refused. Alexandra was unceremoniously yanked out of her class and sent home. Alex and Pepe returned the next day to get their money back. They were refused entry to the school, and — although they were refused a meeting with Director Durán — she DID send a security guard to tell them they weren’t getting their money back. Alex and Pepe sued for fraud. Hills Institute must have expected this, since they quietly changed their “mission statement” to drop the “diversity” statement. Which… and the advantage of being wealthy guys who have the kind of money to enroll their kid in a snooty private school… the couple’s competent attorneys picked up on, and also filed civil rights charges. You see, the Mexican Constitution — while often more honored in the breach than in the practice — does guarantee two rights that one would not expect to find. First, equality before the law regardless of gender preference. and second, the right of children to an “adequate” education. Both the State of Nuevo Leon’s Human Rights Commission and the Federal Secretariat of Education have both started looking into Hills Institute. …. and after. Dropping two words is ok, right? While media attention has been focused on the gender preference discrimination — which is important — little has been said about the rights of the child. Although several Monterrey private schools have said they would welcome Alexandra and her two papís (and their tuition payments, por supuesto), the issue is out there: what is an “adequate” education? One doesn’t realistically expect a two year old in a public pre-school with one working parent to have the educational experiences offered to a child with two highly-paid parents living in one of the wealthiest communities in the republic, the interesting issues is whether or not a school can put conditions on the parents that make it impossible for the child to receive their education. Parents’ Associations have been a source of complaint when, for example, the association mandates a certain uniform at the behest of a powerful member who happens to have the contract to supply said uniform… and may or may not be giving a kickback to the school administrators. More seriously are “special fees” the parents’ associations assess their members, sometimes for the simple purpose of benefiting the children of the more active members. The “educational reforms” being implemented here give more “responsibility” to the parents … which in poorer neighborhoods is being spun as meaning the parents are going to have to fix the plumbing and repaint classrooms themselves. A very real possibility, Is the child whose mother (and sole caretaker) is working 12 hour days, then expected to go and clean the school toilets as a condition of providing her child’s education? And what if the child is gay (U.S. private schools — receiving public funds — are notoriously discriminatory in this regard)? Although it’s normally difficult to work up much sympathy for the rich, this is one of those incidents where you are glad the rich guys fought back. Not only does it force even the wealthy gringo-centric Mexicans that they are not immune to abuses to human rights, (something wealthy gays are sometimes a bit shocked to discover) but … much more importantly, that there are no “special rights”. If an institution is going to deny the rights of one type of family, it can deny rights to any type of family… “and if a family is going to demand an adequate education for one child, one presumes all children deserve an adequate education. And demand they should. I realize you’re writing about a Mexican private school, and a pre-school at that, but I’m not sure why you’re so dismissive of private schools generally. From your own postings, I take away that Mexico’s public primary and secondary educational system is hardly a fountain of ever-flowing excellence, regardless whether the venal union members or the less than motivated teachers or the uninterested state/federal government is debasing it. The most important thing is that the parents be interested and involved in their child’s learning process. Alex and Pepe can afford- and are interested in providing- the best education at an early age for their daughter, Alexandra. Why is their ability to pay something to put down (“snooty private school”), since they clearly have a loving concern for Alexandra sadly lacking in many financially fortunate parents? Only this week I heard the president of the National Association of Independent Schools (a US group) speak, and I will make the following comments in line with some thoughts he offered. Certainly private schools can do much more to reach worthy and bright students in poorer communities and schools in the US, thus increasing the economic diversity of private school students. These schools are not charter ones, but non-sectarian independents which never receive any government funding, and have high tuitions as a result. I do not know where you have determined that US private primary/secondary schools receive government funds;a private school in the States is defined by its refusal of government subsidies, preferring its independence. Upwards of 50% of their students receive financial scholarships or grants from the school’s own endowment gifts. Do ALL the public schools in Mexico require that parents join the PTA and perform such “labors” as you mention? In that case, the parents must stop being so humilde and petition the government for redress, however hard it may be. I do not see the issue with private schools in that regard- if the parent can afford the school, he or she can certainly take the time to “tithe” or get involved. In the US I can believe that such a required association would greatly benefit the child since far too many US parents shirk their educational duties towards their children, especially in the public sector. Except for religious schools in the US, I have not heard of a gay student being bullied in a private school. At my own private high school, I heard of two openly gay students who were welcomed by their peers and teachers. It seems Alex and Pepe have been discriminated against because of their sexual orientation, and not because they balked at paying any “mordida,” justified or not, in their overall tuition for Alexandra. That sort of inequity is unacceptable in the public school system, but I find it less so in a private school where ability to pay is not the issue, and the parent is always welcome to pay for better school. I also don’t understand your comment that diversity for a private school means “they cater to gringos.” No white parents I know in Southern California are sending their children to any Mexican primary/secondary school, public or private. Again for my own high school, nowadays the non-native US student proportion amounts to roughly 30-40% per class of nearly 100 persons. And that figure doesn’t account for the US-born students who are not white. My own class was much smaller many years ago at 30 students, and had six foreign members. About a dozen of my class were also on 60-100% scholarships as well, so financial diversity was not unknown. HUH? What do California schools have to do with this. Monterrey is in Nuevo Leon. Parents should be involved in their child’s education, but as I said, in MEXICO (I know nothing about California) parents’ associations all too often are political or business fronts for the interests of some parents and not others. Besides the problems for parents without time or resources (like a single mother working two jobs… not in the least an uncommon situation) it is an impossible burden to expect her to also take on school maintenance projects… I’ve known single moms who are hard pressed just to buy uniforms and “required” supplies dreamed up by their Parents Associations. 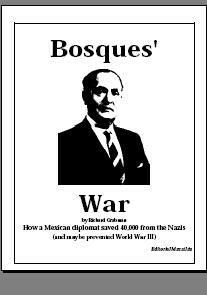 Parents who speak a minority language are often simply ignored, and their children forced to drop out for ridiculous reasons like not having the proper uniforms (mostly because no one told the parents.. .by design). Yes, this happens even in public schools. Nothing wrong with sending one’s child to an elite academy teaching entirely in a foreign language (though most Mexican schools — especially private schools at this calibre — do teach English), though SEP requires instruction in one of the national languages. 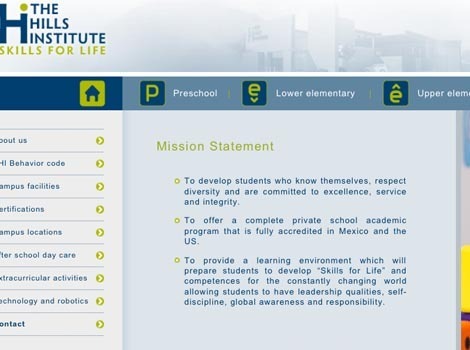 The Hills Institute’s requirement that children speak “only English” on campus certainly violates all kinds of Mexican laws protecting the rights of minority language speakers (and eliminates much of the “diversity” pool right there),. 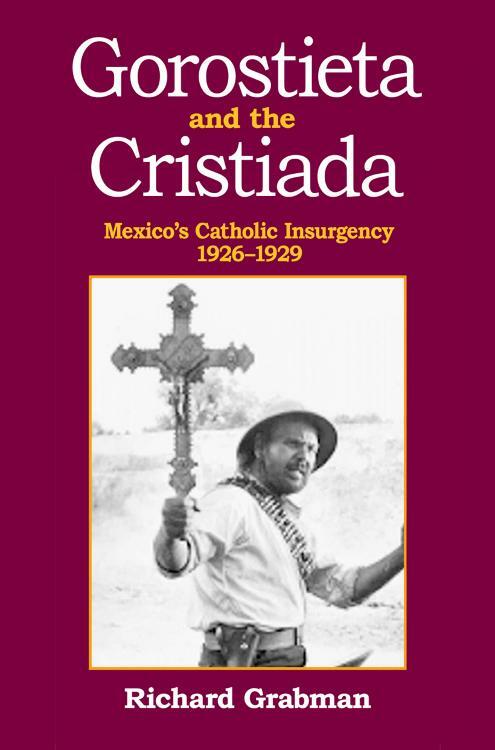 However, one would presume that if one is going to send their child to be educated among the elites in a community known throughout Mexico for its clannish, reactionary they were going to expose their daughter to experiences and attitudes at odds with their own family structure.